Nine has reportedly secured the next two Ashes series to be played in England in 2015 and 2019. 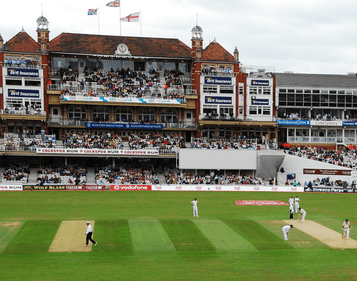 The Australian Financial Review reports Nine has paid ­$20 – $25 million to the ­England and Wales Cricket Board for two five-Test series each year as well as 15 one-day and Twenty20 games. The deal struck late last week, includes free-to-air, digital and pay television broadcast rights, but Nine may yet on-sell the rights to the two English Ashes series to Foxtel. In recent weeks Nine’s coverage of the Ashes has delivered it bumper ratings and broken multichannel records. In June Nine paid $80 million a year for a new broadcast deal with Cricket Australia. The Ashes will always be on a secondary channel, be that SD or HD. In the past Nine has not shown the first session live, or on sold it to SBS when they couldn’t show the Ashes on a secondary channel. Nine’s main channel rates more than twice what the Ashes averaged, and with a younger audience. The cricket would destroy scheduling on the main channel for a couple of months and rain breaks would be a total disaster. NIne dig deep for these rights which explains why they seem to have so little left to spend on Australian prime time content. @Stilesy who really cares what the English people are hearing? Obviously they think our commentators aren’t up to scratch. Must say I agree with them! Gee! You would think at the haste Nine signed this up, they are feeling a bit paranoid and looking over their shoulders. @glennc – well for the home ashes series this summer, Sky Sports is sending it’s own Commentary team to Australia, so the English viewers won’t be getting Nine’s Commentary, only Australian viewers are. @Stilesy so we should send our own biased commentary team? We get enough of that over summer. Yes great news about this. This happened because The Ashes are on the Anti-Siphoning list, so Nine gets first dibs. $20 million seems a lot to pay for 65 days of cricket (ten 5-day tests and 15 other games, and that assumes no rain) that only gets roughly 8% of the ratings. Is Nine able to make money on those figures? No doubt it will be shown in HD on Nine/WIN, rather than GEM in 2015 & 2019 & what about Nine sending it own commentary team to the UK, rather than than having to put up with the English biased Sky Sports team.